The Biscuit series by Alyssa Satin Capucilli,Illustrated by Pat Shories, has been enchanting young readers everywhere. Imagine the delight as the endearing puppy Biscuit visits and warms the hearts of your audiences. The wearer of the Biscuit costume should be 5’ 4” to 5’ 10” and weigh between 120 and 180 lbs. 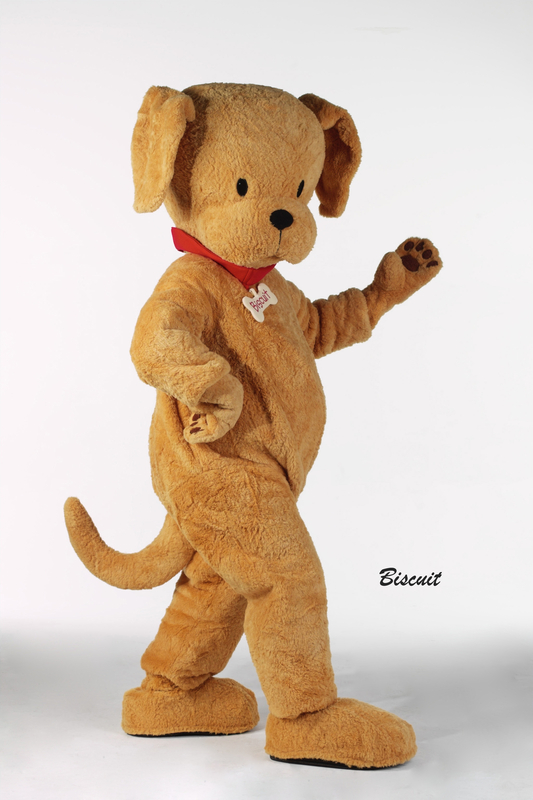 The rental fee for the Biscuit costume has been graciously provided by Harper Collins Publishers for promotional use only at schools, libraries, and bookstores. The only cost to you is Second-Day Air shipping arranged by Costume Specialists to send the costume to its next event which is only $140.00. Search for us on Google: Biscuit Costume Character rental or Biscuit Character Appearance Program.